VMI put in 46 goals in two Saturday wins at the Macalester Invitational. The team’s 22-1 win over Carthage included a school record for largest margin of victory, while the 24-10 effort against Monmouth marked the most goals in a match. Nine Keydets scored against Carthage, including Genevieve Petrassi’s five scores and four from McKenna Imset. Makenna Moore also added a hat trick. In the victory over Monmouth, Imset tied her own school record with seven goals. Sarah Dolitsky put in six goals, while Petrassi added four. All told, Dolitsky scored 24 goals as VMI went 5-0 at the Macelester Invitational. The senior started the weekend netting a school-record eight goals as the Keydets topped Macalester 14-7 on Friday. Dolitsky scored five times in the final period to put the victory in the books. In the team’s 22-1 win over Carthage, which set a school record for largest margin of victory, Dolitsky added one score and two assists. In the team’s 24-10 win over Monmouth, she poured in six goals. On Sunday, Dolitsky registered a hat trick in a 9-6 victory over Macalester and added six scores in a 16-15 overtime win over Redlands in the weekend finale. McKendree’s Brianna Mullaley notched nine goals in the team’s 21-6 win over Washington and Jefferson as the Bearcats went 3-1 at the Washington & Jefferson Invitational. 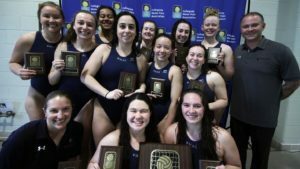 Salem’s Annefleur ten Bloemendal scored eight goals as the team topped Villanova 15-14. 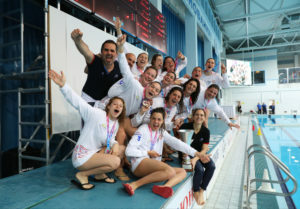 Teammate Margherita Garibbo added a hat trick in the win. The Tigers got five scores from Maryanna Antoniou in a 14-4 win over Occidental and four more goals from Garibbo. Kolby Kahahawai of the Redlands scored seven of her 17 goals on the win in the team’s 13-10 win over Macalester. 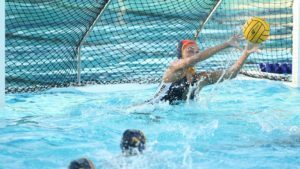 Hawaii’s Irene Gonzalez put in a career-high six goals in the team’s 14-6 win over #10 Pacific and added five more in the 12-10 loss to #4 Cal at the Barbara Kalbus Invitational. Cal’s Kitty Lynn Joustra put in five goals and Sarah Siepker chipped in three as the #4 Bears defeated #17 UC San Diego 15-7. Taylor Onstott added three scores for the Tritons. Saturday’s matchup between #4 Cal and #5 Hawaii boasted five multi-goal scorers, including Gonzalez’s five putaways. Cal’s Emma Wright notched four scores and Elli Protopapas added a hat trick in the Bears’ 12-10 win. 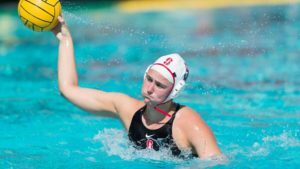 Aria Fischer and Makenzie Fischer had four goals apiece, while Sarah Klass and Madison Stamen put up three each as #2 Stanford def. #21 Cal State Northridge 18-4. Makenzie Fischer tacked on a five-goal effort as the Cardinal topped #3 UCLA 10-4 on Saturday. 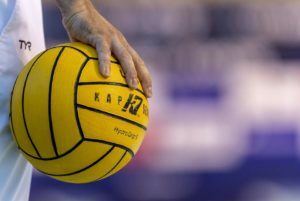 #9 UC Santa Barbara got four goals from Sarah Snyder in its’ 11-5 win over #25 San Diego State. Snyder also added a hat trick alongside Amanda Legaspi in the Gauchos’ 11-9 loss to #7 UC Irvine on Sunday. Pacific’s Brinnley Barthels netted four goals as the then #10 Tigers topped #7 UC Irvine. #1 USC: Elise Stein (3) in the Trojans 13-5 win over #25 San Diego State. Maud Megens added three scores in the team’s 9-8 win over #4 Cal in Saturday’s semifinals. Carla Traplin put in three goals for Cal in the loss. #2 Stanford: Kat Klass (3) in the Cardinal’s 14-3 win over #10 Pacific on Friday; Sarah Klass put in three scores in the 10-8 championship match loss to #1 USC on Sunday. RV Brown’s Carissa Perez and Carmen Rosas notched 3 goals in the Bears’ 12-4 win over Iona. Isabel Riches added three scores for the Bears in a 16-5 win over St. Francis Brooklyn. 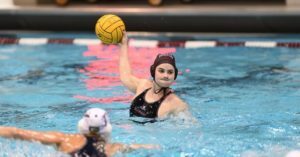 Dagmara Czajka and Lily Keck each put in three goals as Brown topped Mercyhurst 14-3. Three Siena players posted hat-tricks on Sunday as the Saints bested Mercyhurst (11-3) and #14 Princeton (20-10). Sophia Torres scored three times all in the second period as eight different players found the net against Mercyhurst. Georgia Vargas and Diana Fernandez notched three goals apiece against Princeton. 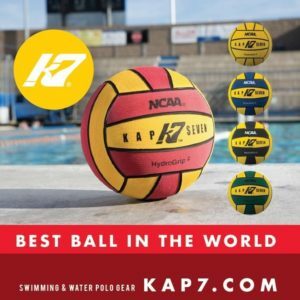 UC San Diego got hat tricks from Ciara Franke, Grace Pevehouse and Taylor Onstott in a 14-8 win over #13 San Jose State. Player of the Week: Carissa Perez, Brown – accounted for six goals, seven assists, two steals and two ejections drawn at the Marist Red Fox Invitational; notched three goals and three assists in a 12-4 win over Iona; credited with two assists and a goal each in wins over St. Francis Brooklyn (16-5) and George Washington (12-7). Rookie of the Week: Lily Akin, Brown – registered four goals, five assists, four steals and three ejections drawn as the Bears went 4-0 at the Marist Red Fox Invitational; posted two goals, two assists and two ejections drawn in a 12-7 win over George Washington; added two goals and a steal in a 12-4 win over Iona; notched two assists and two steals in a 16-5 win over St. Francis Brooklyn. 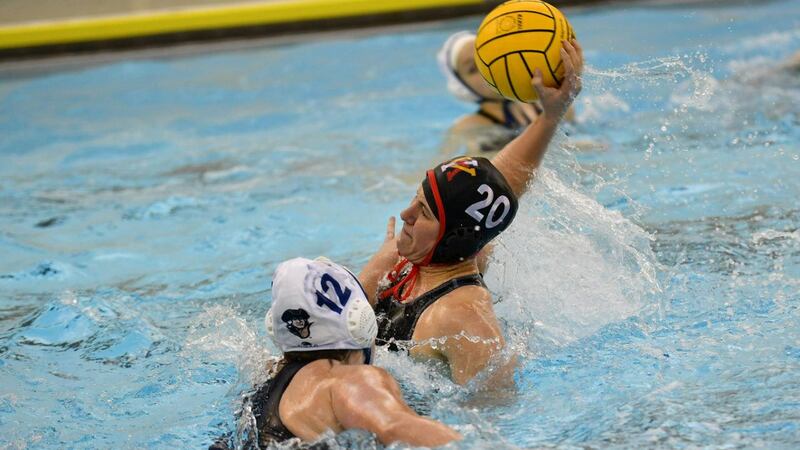 Player of the Week: Brinnley Barthels, Pacific – scored a game-high four goals in the Tigers’ 13-11 win over #7 UC Irvine; added a goal and a key field block as Pacific upset #6 Michigan 12-9. Offensive Player of the Week: Sarah Dolitsky, VMI – totaled 25 goals and four assists as VMI went 5-0 at the Macalester Invite; snapped the school record with eight goals in a 14-7 win over Macalester; added 13 steals on the week. Defensive Player of the Week: Isabel French, VMI – made 63 saves at the Macalester Invitational; posted a 64.3 save percentage while starting all five of the team’s matches. Rookie of the Week: Kaysie Stuba, Villanova – notched 22 shots, 12 goals, six assists and six steals as the Wildcats went 2-2; drew seven exclusions. Defensive Athlete of the Week: Kelly Grosswendt, Redlands – Made 76 saves, tallying at least 13 in each contest as the Bulldogs went 4-1 on the week; totaled 19 saves in the 13-2 win over Carthage. Player of the Week: Brianna Mullaley, McKendree – led the Bearcats to a 3-1 mark with 16 goals, 16 assists, four steals and four exclusions; notched a nine-goal effort in the team’s 21-6 win over Washington & Jefferson.